The Institute of Banking Personnel Selection (IBPS) invited applications for the next CWE PO/MT (VIII)- Online Common Recruitment examination 2018 for the recruitment of Probationary Officer/ Management Trainee posts in various participating banks. The examination is tentatively scheduled in October 2018. Reading Comprehension, Vocabulary, Grammar, Verbal Ability, Synonyms, Antonyms, Word formation and Sentence completion, Error detection , Sentence correction. 100’s of model question papers are available here for free download, all will help you in preparing for the exam and to get the necessary time management. All papers contains the answer keys and solutions for the questions. IBPS PO Prelims – Free mock tests. Free online mock test papers are available for you to prepare for the examination in real-time environment. For the IBPS PO Prelims English language free online mock test will be very useful. It contains more than 3000 questions for you to get enough practice. Hi The 2016 question paper and key is available at the link above. Please download it from there.. I need what is level of ibps pi pt exam of 16. 10.2016. Please check the blog above for question papers. i know this is use ful website for every degree completed peoples but we need questions papers with solved sir pls send my email id. Thank you for providing such a very useful question papers and study materials for bank competitions. This is very helpful for those who are preparing to crack the bank exam and will also helpful for those who are applying for the first time. I would like to add one more thing to please provide the shortcut tricks to solve the question in less time which is very important in competition to save time. IBPS PO Exam is on October 16, 22 and 23, 2016. The online registrations will start from July 26, 2016 and the last date to submit application is August 13, 2016. Age limit for the exam is 20 to 30 years. Solving Previous Year Question Papers of IBPS is really useful in Exam Preparation. sir, plz snd me previous years sbi po prelims exam papers with answer. please send me po preliminary exam model question paper and answer key. pls send me preliminary PO’s model paper to my email. If any ibps paper u got thn mail me plz…. which paper would u like to ? 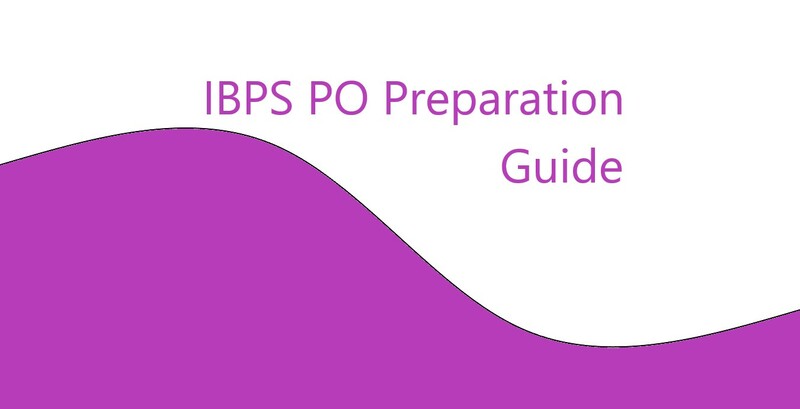 How should i prepare for ibps pre po & how many questions should be attempted to clear the cut off ?